Atac Solutions now stock Nitto-Kohki Air Compressors, Nitto-Kohki is a world-renowned Japanese designer and manufacturer of high-tech components, tools and machines. Their products include pumping systems with a wide range of applications e.g. in medical equipment, waste water treatment systems, and many other applications. Moreover electric, hydraulic and pneumatic power tools for use in industrial environments such as grinders and needle scalers and couplings for use in industrial, medical, biotechnology, nuclear, semiconductor and computer fields. 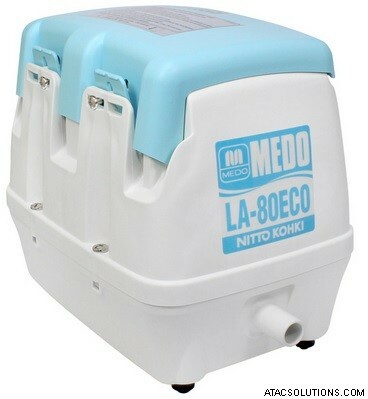 The Nitto Kohki ‘MEDO’ range are renowned for their unsurpassable performance and life expectancy of their unique diaphragm-less “Linear-Shuttle” LA Series air blowers. Lifetimes should easily exceed 5-10 years dependant on operating parameters and atmospheric conditions. Long Service Life: The rated specifications enable continuous operation for over 20,000 hours. Increased air flow and lower noise levels. Be Prepared for a Flood! Winter is officially here..and ATAC Solutions are here to help you safeguard your home against flooding year. It is essential to plan ahead, there are several ways you can do this..
You can start by creating a personal flood plan which will help you decide what practical actions to take before and during a flood. To find out more about flood plans and download templates visit the Environment Agency flooding pages. It is highly advisable to set up flood damage insurance if you are in a risk area. Be aware some companies my not cover all the costs for damages caused by flooding, but it certainly gives peace of mind. Strengthen vulnerable areas, doors and windows are the main areas that needs to be protected. Flood boards are a popular option with many people as well as sandbags. If you have a property that suffers from regular flooding sandbags are only a temporary measure! Installation of sewer non-return valves below ground can protect your property against sewage and grey water backing up to your toilets and sinks. These methods are a lot easier than people first think! contact us today for some help. Good insulation is also the first step towards preventing freezing / burst pipes. It can also be worth opening up cabinets that conceal pipes, as well as your loft hatch, to allow warm air to reach your plumbing. Keep your heating on to at least 15 degrees centigrade for a little while each day to prevent the pipes from freezing and bursting. Atac Solutions Pump Shop..What We Recommend For You! Generators - Even if you get a power cut generators will allow you to continue the running of your pump. Submersible Drainage Pumps - We have a wide range of submersible pumps do not hesitate to give us a ring for some help choosing which one you need for your property. 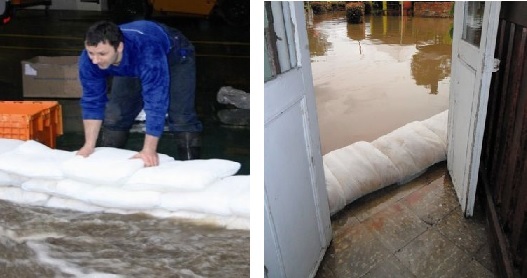 Sandbags - We have ‘Floodsax’ clean easy to store and fit alternative to sandbags for the protection of property from flooding. They are filled with a super-absorbent polymer which when dry lay flat and weight only 200g. Great for storing in the dryer months! All New Secoh JDK Series Available from 13th October 2014! 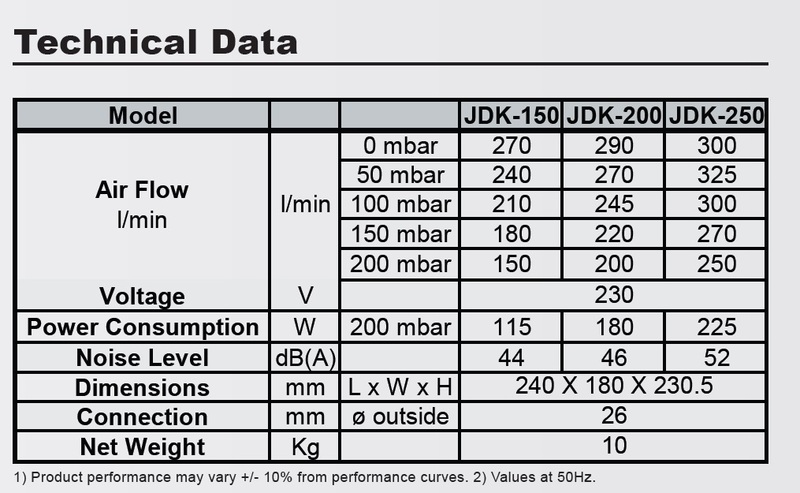 ATAC Solutions will have the brand new JDK 150/200/250 Series available from 13th October 2014! We offer a fully integrated servicing, maintenance and waste collection and disposal service for domestic and industrial clients throughout the UK. ATAC offers their clients the opportunity to protect their investment with regular hassle free planned maintenance to aid your compliance with your stringent consent to discharge license. - Drain jetting, graffiti removal and brickwork cleaning. ATAC now sell Jung Pumpen on our pump site..!! For 90 years the name JUNG PUMPEN has stood for reliable and modern drainage technology. To a certain extent JUNG PUMPEN’s success can undoubtedly be attributed to the fact that the company always strives to offer the best possible solution. But another important success factor is its ongoing dialogue with partners and customers, because there is no other way for a company to create products that are customer-specific, marketable and technically up to date. Congratulations to ATAC Solutions on achieving ISO 14001:2004 certification recently! ATAC have proven that we..
- We minimize operations (processes, etc.) in how they negatively affect the environment (i.e., cause adverse changes to air, water, or land); (b) comply with applicable laws, regulations, and other environmentally oriented requirements. This is a continual improvement. 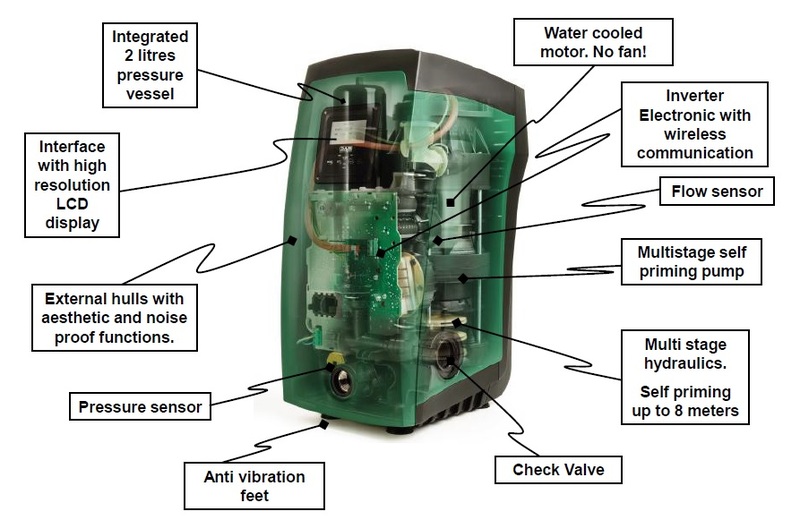 How to choose the right circulator pump..! Circulator pumps are used for the circulation of gases and liquids in a closed circuit. The fluid runs through the system in a loop, continually returning to the pump which maintains its pressure. These pumps have applications in domestic, commercial and industrial domains. Some of the most common uses for a circulator pump can be found in the circulation of water as part of heating or cooling systems. In a water heating system, the pump is used to push hot water through pipes around the building, often using radiators to heat each room. The size and power of a circulator pump can vary depending on the application, taking into account the type of circulation fluid, its flow rate and operating conditions. Working out which circulator pump you need yourself is not an easy task! Please do not hesitate to contact a professional, we are happy to help you here at ATAC Solutions. However, we will need a few things from you so please be prepared with the following.. Examples of Popular Circulator Pump Models..
ATAC Feature the NEW EVOSTA CIRCULATOR from DAB..! The new EVOSTA thanks to advanced technology used in the permanent magnet synchronous motor and the frequency converter, the new range of EVOSTA circulators ensures high efficiency in all applications, obtaining important results in terms of energy saving. The new Dab Evosta circulator adapts to any space. 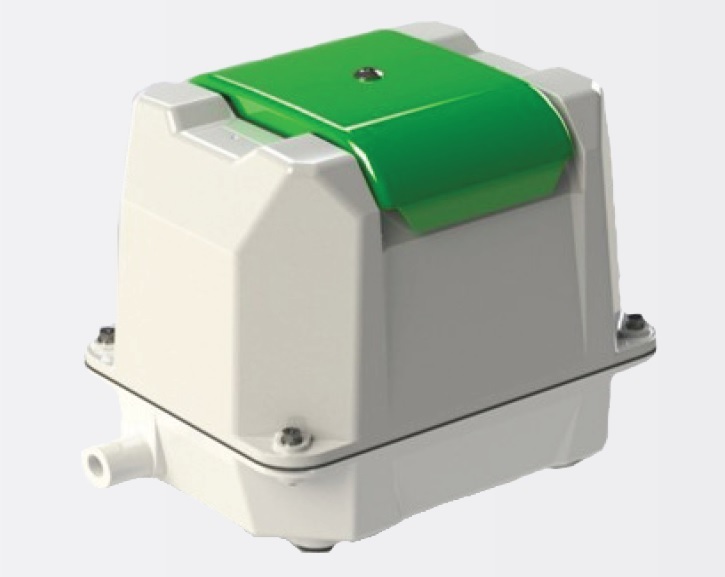 With Evosta, Dab Pumps completes the Evo series ranging from Evotron to Evoplus. This version is specifically designed for the needs of heating systems and adjusted on basic needs. Primarily conceived for residential applications, given its small size and peculiar characteristics, the youngest of the Dab family is the new entry of the electronic series. – a single product that is an alternative to a wide range of products on the market, with a pressure from 4 to 7 meters, available with different system connection configurations. ATAC Feature the Brand New E.SYBOX from DAB…! The new E.SYBOX has been developed as a system the only of its kind, efficient, compact and easy to use. In the field of water pressurisation, it is the most evolved in its field for domestic and residential use! Water cooled motor and sound dampening casing creating the quietest booster pump available today. Wireless connectivity and modular design can expand the pump system up to a 4 pump booster set. Integrated modular water storage tank system with Cat 5 connection. Contact ATAC Today for more details! 01622 882400 or click HERE to visit our pump shop. 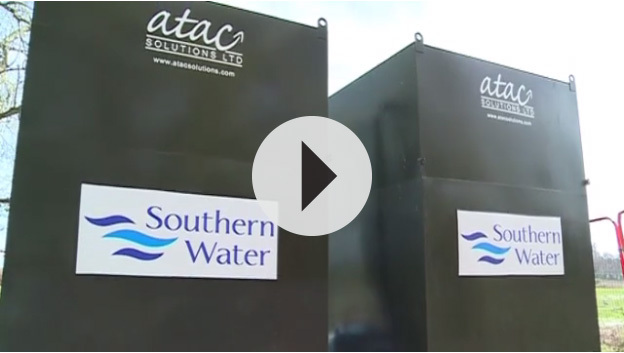 Southern Water is pioneering a new system to stop unfiltered sewage being pumped into rivers during periods of heavy rainfall. As we saw during the recent floods – when the drainage system is overwhelmed – water companies sometimes pump sewage from the sewers into local rivers, like the Nailbourne and the Little Stour in Kent.